Top left: Renderings for the new Honors Center. Top right: Renderings for Freshwater Ecology Center and conference center. Bottom: Old post office and federal building. FMU is set to embark on campaign of construction that will produce needed capacity for new and growing programs, and will revitalize other facilities so that they can better serve students in the decades ahead. Two new buildings and a large renovation project highlight the planned work program. FMU expects to begin work next year on an $8 million renovation project at the old post office and federal building in downtown Florence. The 38,000-square foot building, next door to FMU’s Carter Center for Health Sciences, will host classroom, lab and office space for FMU’s growing array of health science programs. FMU received the old post office as a gift a year ago. A brand new project on the horizon is the construction of a freshwater ecology lab and a small conference center on a 146-acre tract just north of campus near the intersection of I-95 and S.C. 327. The land was recently gifted to FMU by the Drs. Bruce and Lee Foundation. It features a stunning, freshwater lake — hence, the ecology lab which will support a variety of science programs at FMU. University officials are currently studying new graduate-level programs in the ecology field. 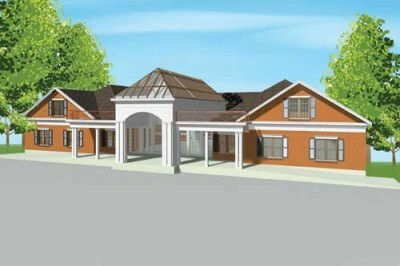 Later this year, FMU expects to begin construction of a $3.4 million Honors Center on the main FMU campus. The 15,000-square foot building will serve as the home to FMU’s fast-growing honors program, to the McNair Center for Research and Service and to the office of International Programs. Carter also detailed two important renovation projects. This summer, FMU will completely renovate the Village Apartments, its oldest residential housing units. It’s also planning a major makeover of athletic support facilities at the Smith University Center and the fieldhouse at Griffin Athletic Park. The renovation work will add or enhance office space and locker room facilities. It will also add significant new capacities in the area of athletic training and student-athlete health. The projects total more than $20 million. Carter told the trustees that all the money for the projects has already been raised from private sources, or from state dollars, and that none would be dependent upon student tuition.